Is reforming the Senate even worth it? 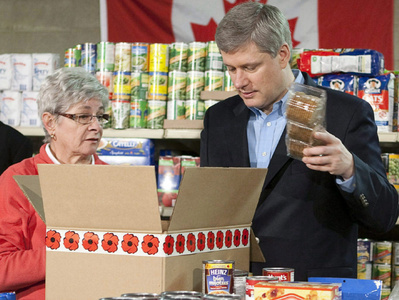 Kelly McParland has a good article in the National Post this morning where he advocates for turning the Senate into a food bank. No doubt a more worthwhile expenditure of that money and space. But it does get McParland thinking about why it is that Canadians even think that reform is a good thing for the Senate, let alone necessary. Why do we want that? Why is it that the same forces who advocate smaller government and less intrusion by Ottawa in our lives, also want to beef up the Senate so politics in Ottawa could become ever more complex and unpredictable? Turning the Senate into an elected body with greater legitimacy and a claim to a regional mandate turns it into a rival of the House of Commons. Instead of one elected body that thinks it’s been chosen to run the country, we get two elected bodies, each stuffed with the importance of its own ambitions and agendas. Couple a stuffed Senate with a Cabinet that has a whopping thirty-nine ministers (not the largest in Canada’s history, but a close second or third), and tack on the addition of 30 seats to the House of Commons to make up for regional disparities in population and representation, and you have a government campaigning on smaller, more accountable government that has proceeded to bloat an already enormous bureaucratic complex in Ottawa. See why conservative papers like the Post are confused, and slightly pissed off? Issues like Senate reform are not enough to whip the public into a frenzy, but as I have written about elsewhere, these are the kind of divisive issues that stick in the electorate’s craw. It is no doubt hard for many Conservative voters who truly, deeply believe in the need to cut government size (something even I can think about getting behind when I see things like this) to reconcile these beliefs with a Conservative government more interested in revenge and the destruction of their political enemies that it is with governing the country in an effective and respectful manner. Wouldn’t it be easier and more economical to just close the place? Or, failing that, cut the salaries to minimum wage and eliminate all perks and expense accounts, and turn the building into a food bank?… Making government smaller by making it bigger, more expensive and less workable seems like an awful convoluted way of going about things. The question is, why would Harper want to risk alienating his vote base so soon after an election with petty moves to stack the questionably useful Senate with crony appointments? This is not his fight, or anyone’s fight for that matter, and I am surprised he is picking it with left- and right-wing voters alike.